Use Segment columns to indicate which features are valuable to which segments. 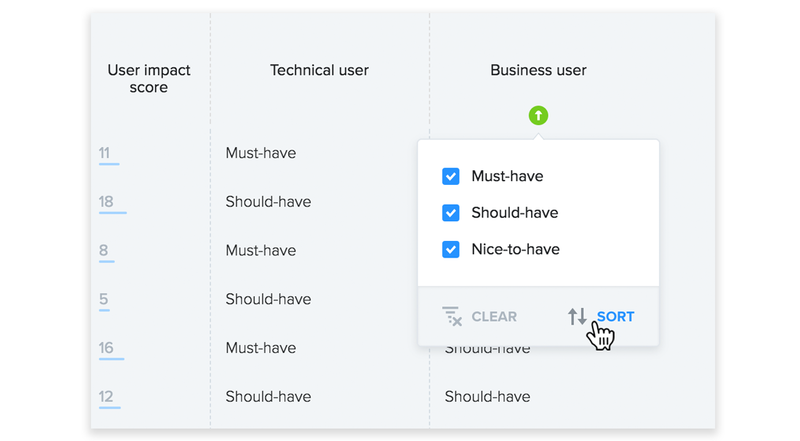 Once you've scored features based on their importance to each segment, you'll be able to sort/filter them accordingly. 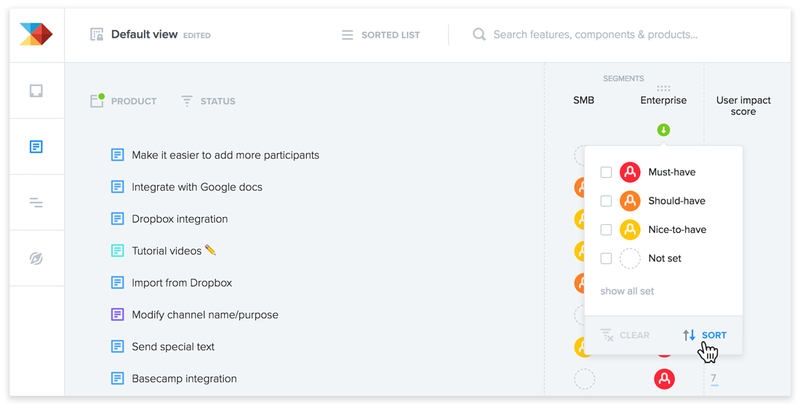 For example, I can now sort features to see those that are most important to Enterprise companies rise to the top. 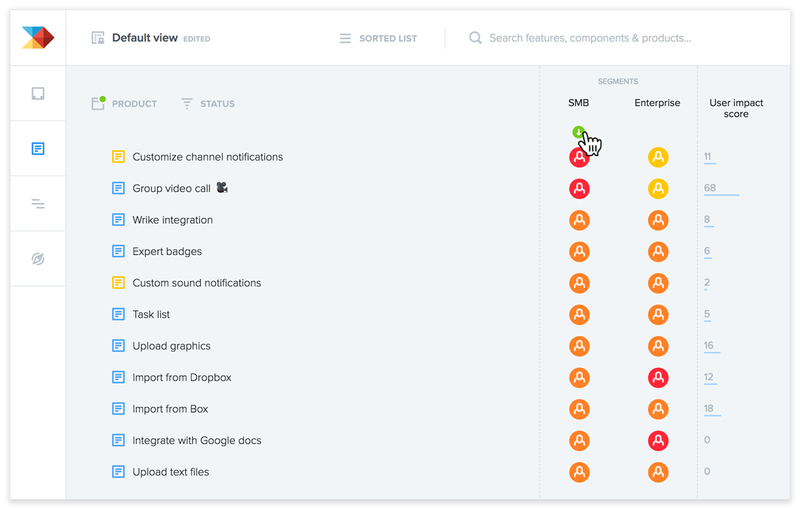 Or I could filter to see just those features that are considered Must-have or Should-have for SMB customers. If you'd like to have columns representing multiple types of segments as referenced above (market segment, user segment, persona), you can use the segment columns for one of these and then create custom dropdown columns for the others. With custom dropdown columns, you'll be able to customize the dropdown values. You'll still be able to sort & filter by these custom columns' values. With the current implementation of segment columns, it's up to you to determine how relevant each feature is for each segment. However, you'll notice that it's already possible to assign People (e.g. those end users who've provided requests/feedback to the Insights board) to segments. You can see this by selecting a segment's name to view its details. In the future it may be possible to configure segment columns so they display a User impact score auto-filtered by users from the segment in question.